Never miss a 'iPod Touch' deal again! 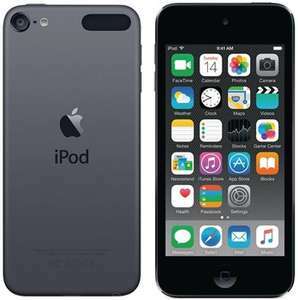 Ipod Touch 6th generation 16GB Colour - Space Gray Viking direct £154.80 with free delivery Cheapest online deal?! I got 2 from john lewis last week. Phoned up and said its misleading you have had the price of 139 but no stock so they said i can pre order. 3 days later phoned me back for payment and day later delivered. Still not been in stock so maybe worth phoning with same story. My bad timing that. I ended up buying one today for £139 for my daughters birthday. You've done well to get it at that price! More than sufficient unless you store very large apps and a large collection of photos etc. 16GB is perfect for me, even though I have multiple 1GB+ games. It'll be perfect for people who do most music or video streaming online which is the future anyway. The iPod has become a household name since it was introduced in 2001, and the iPod Touch is one of its most advanced versions. 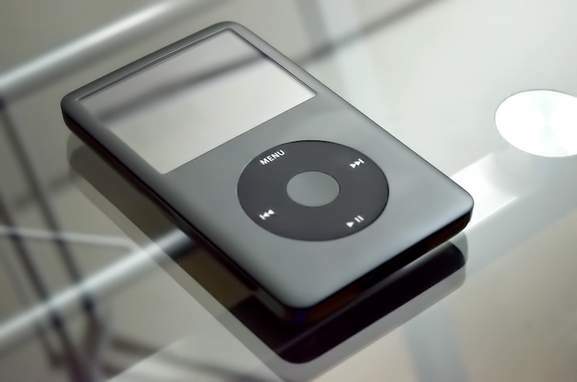 Compared to the original device, the Touch seems like a different beast entirely, with so much more functionality, a smaller size and greater processing power, but underneath it all, the beating heart of an Apple device remains – as well as the style that made iPods so iconic in the first place. If you want a portable music player that can play games, take photos and stream video, the iPod Touch is at the top of its class. Read on to find out more about its abilities, specifications and whether the iPod Touch is really the right digital entertainment device for you. Nowadays, portable digital music players are taken for granted. But twenty years ago, the idea of storing thousands (not to mention tens of thousands) of tracks on a handheld device would have seemed outlandish. That all changed when Apple introduced its first iPod in November 2001. Now, users could download music in mp3 or other digital formats and transfer them to a sleek, futuristic player that they could take anywhere. As digital downloads took off, the iPod quickly became an indispensable piece of entertainment technology. However, Apple didn’t rest on the laurels and continued to innovate. The diminutive iPod Mini arrived in 2004, then the Shuffle in 2005 and the Nano in 2007. But the iPod Touch was the real game-changer when it burst onto the scene in 2007. 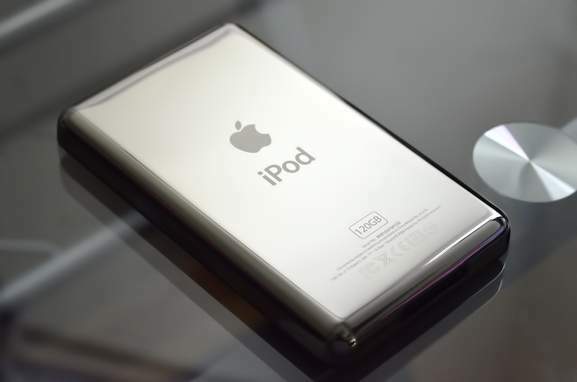 The first iPod with a touch screen and wi-fi connectivity, the Touch was essentially a smartphone/tablet hybrid with unprecedented power compared to other digital players. Since then, Apple has released six different variants of the iPod Touch, with the latest having arrived in 2015. Memory levels have increased while the size has been reduced and the screen is sharper than ever, allowing entertainment fans to listen, watch and interact like never before. What Can You Do with the iPod Touch? Access the iTunes Store to download your music, make purchases in seconds and hear the tracks straight away in high-quality digital audio. Listen to exclusive radio and live performances via the Apple Music service. Play all kinds of games on the high resolution Retina display using the power of the A8 microprocessor. Use fitness tracking tools that are delivered by the device’s M8 motion coprocessor. Stream video from services like iTunes and Netflix on the 4-inch screen with a resolution of 1136 x 640. Take pictures and capture video using the 8MP iSight Camera. Use additional camera features like slo-motion video, automatic face detection and burst mode. Send e-mails or SMS messages using iOS 10 apps. Interact with contacts via social networks like Twitter or Facebook. Share accounts with family members to transfer content between different Apple devices. Surf the web thanks to Bluetooth and Wi-Fi technology. So far, there have been six different versions of the iPod Touch. However, for the purposes of this buyers guide, it’s probably only really necessary to talk about the last two (released in 2012 and 2015). The iPod Touch 5 - The iPod Touch 5 may seem old, but it’s still a decent entertainment device, and you can find it at very low prices, so it’s definitely worth considering. It came in models ranging from 16GB to 64GB and has an almost identical appearance to the iPod Touch 6. The major differences between it and its successor are internal, and they aren’t trivial. For instance, the Touch 5 has half the RAM of the Touch 6 (512MB compared with 1GB), doesn’t come with a motion coprocessor (so you can’t enjoy fitness apps) and doesn’t handle Bluetooth 4.1. In 2012, this was state of the art, and these specifications still ensure that the Touch 5 can interact with iTunes and other online services, but it’s nowhere near as handy for gaming, streaming and general app usage as its more advanced cousin. It’s also been discontinued, so you’ll need to purchase the iPod Touch 5 second hand (where there are plenty of bargains to be found). The iPod Touch 6 – The most advanced version of the iPod Touch (as of 2017), the iPod Touch 6 came with 1 GB of memory as standard, storage of up to 128GB and a higher resolution camera (8MP as compared with 5MP). In appearance, it’s ditched the old-style iPod interface using a round wheel-style controller, and essentially resembles an iPhone, with a 4-inch touchscreen and the iOS front page which allows users to load up music players, libraries, streaming services and web browsers. So, anyone who is familiar with standard smartphones will find it easy to get up to speed on an iPod Touch in no time at all. Display type: Retina, 1136 x 640 pixels, 800:1 contrast ratio, with a fingerprint-resistant oleophobic surface. Camera: 8MP iSight camera featuring burst mode, autofocus, exposure control, tap to focus, timer, backside illumination and panorama mode (in up to 43MP resolution). Video: 1080Hp recording at 30 fps with slo-motion and time lapse functions, 3 x zoom ratio, face detection and stabilisation. Operating system: The iPod Touch 6 was initially released with iOS 8 but has now been updated to feature iOS 10 including Siri, family sharing and an iCloud drive as well as inbuilt apps like FaceTime, the iTunes Store, Safari, the Game Center, Stocks and the Apple Newstand. When you come to purchase an iPod touch, there are some decisions to be made, and they can have a major bearing on how much you enjoy using the device. On a more cosmetic level, colour matters to almost everyone. The iPod Touch comes in six different colours: blue, gold, pink, red, silver and space grey. Check out the options online or in-store and pick one that suits your style. Also, be aware that the colours shown online can vary slightly from how devices look in the real world, so it’s probably a good idea to actually hold a model in your hand physically before you make the purchase. Storage is also something to think about. The iPod Touch comes with a range of capacities, from 16GB to 128GB – which is a pretty wide disparity. If you choose the 16GB option, you’ll save money, and 16GB is still a hefty music library. However, if you intend to be a heavy consumer of video and audio content (not to mention your own videos and photos), then more capacity is vital. Strike the right balance to make sure you don’t run out of space a few months after buying your device. Then there’s the question of what to buy with your iPod Touch (check out the accessories section below for a range of suggestions). But before you buy anything, it’s also worth asking whether the Touch is even the right iPod for you. There are alternatives, so give them some thought before you take the plunge. If you are seriously thinking about purchasing an iPod Touch 6, then you’re probably already a fan of Apple’s other iPod devices, and the choice is really about which iPod to buy. This isn’t a simple decision, as price levels vary wildly between the various models, so it helps to put the options into perspective. First off, remember that the iPod Touch is the most expensive version of the iPod right now. That’s because it bridges the gap between smartphones and standard digital players, offering much more functionality than other iPod models. This extra power is great, there’s no doubt about it, but it’s not actually necessary for everyone. If you already have an iPhone or an iPad and just want to add an iPod that can play music on the move, there’s really no need to go for the iPod Touch over, say, the iPod Nano. The Nano is much smaller and more portable (though the Touch is hardly cumbersome), and it’s cheaper as well. So if you intend to travel or commute with your iPod, why spend extra on features that you won’t need day in, day out? The Touch is really aimed at people who don’t have an iPhone or are happy to duplicate some of its features. It’s great for families who want to share their accounts and transfer music or films between devices (so that kids can watch what they want to watch and parents can do their thing on their iPad). It’s also a good gaming device for people who love to divert themselves on their journeys into work rather than zoning out listening to music. Basically, the iPod Touch gives you the “best of both worlds”. Its wide range of functions lets you stream, listen, capture videos, take photos, send messages and more, and you’ll pay a little bit extra for these features. If you are happy to make the extra outlay, then go ahead and opt for the iPod Touch. If not, check out the alternatives. There are always plenty of deals on iPod Nanos at HotUKDeals, and the price differences can be huge. If you already own an iPod Touch, it's not always easy to tell whether you have the latest version or not, but there are ways to separate them. 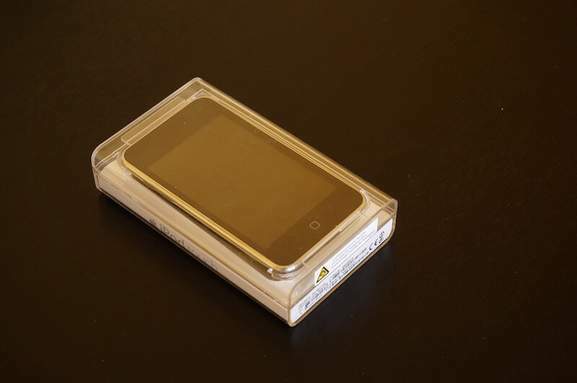 The iPod Touch 5 came with a "loop" in the bottom right hand corner to attach the device to clothes or bags, but this was removed for the iPod Touch 6. The colours have also changed. The new version comes in red and dark blue versions, while the Touch 5 came in turquoise, yellow and pink versions. More importantly, check out the serial number of your iPad. If it starts "A1574", it's an iPod Touch 6. If it starts "A1509" or "A1421" it's an iPod Touch 5, and if it begins "A1367", it's an iPod Touch 4. Cases – When you’ve spent hundreds of pounds on a digital device, keeping it safe should always be a priority. You’ll find hard shell cases, arm cases, flip cases, book-style cases and lightweight skins on the market, so buy the right protection options for your lifestyle. Arm cases are a particularly handy option for fitness fans, as they strap comfortably onto your arm as you jog or work out. Screen protectors – add another layer of protection by affixing an ultra-thin screen protector to the surface of your Retina display. Stands – the iPod Touch 6 is as much a video player as an audio device, which means that stands are a great investment. You can get stands with suction cups and prop-up stands as well as more specialised options like tripods, which could be a huge asset for video producers. Headphones– Apple provide a set of Earbuds with every iPod Touch 6, but these aren’t to everyone’s taste. So, if you are a true audiophile and want to hear every single note in crystal clarity, investing in a pair of deluxe headphones is a great idea. Check out brands like Bose, Beoplay and Beats to find market-leading headphones, and think about going wireless. The iPod Touch 6 has Bluetooth functionality, so why not use it, and dispense with the hassle of juggling wires as you listen to your favourite bands? Speakers – Another absolute essential for audio lovers, a good pair of speakers can turn your iPod Touch into a real home (or mobile) entertainment hub. Portable and wireless options from brands like Sonos are ideal (and be sure to buy waterproof options if you intend to use your iPod outdoors). The Sony NW-ZX2 – It may not have a snappy name, but the NW-ZX2 is a very capable alternative to the iPod Touch. Also sporting a 4-inch display, it’s a good option for moving streaming fans, has plenty of capacity at 128GB, has a decent battery life and Bluetooth functionality. The Pioneer XDP-100R-K – Another device with impressive specifications but also a less than catchy name, the XDP is excellent on the video front, and comes equipped with an Android OS, making it easy to use services like Google Play. It’s also MQA compatible, putting the highest-resolution audio at your disposal, and comes with a couple of MicroSD slots – so you can bump up your capacity to a whopping 400GB. The catch? It’s pretty pricey, but you get what you pay for. The Cowon Plenue D – Under the tagline “in pursuit of sound perfection”, the Cowon Plenue D delivers excellent sound quality (though no video function), it’s got a touch display, a microSD slot to enhance its capacity and 100 hours of music playback from its high-capacity battery. Basically, it’s top of the range as far as pure audio devices go, but lacks the wide range of functions that Apple’s flagship audio device has to offer. If you’ve made up your mind and want to purchase an iPod Touch, the way you buy it can make a huge difference to the overall cost. First of all, be sure about which model of iPod Touch you want, choose a colour and pick a storage option. No-one wants to be stuck with a device that can’t hold their favourite films or tracks, but equally it’s not worth paying for storage capacity you aren’t likely to use. It’s also a good idea to visit a store to actually try the iPod Touch. There are Apple Stores all over the UK, and you’ll be able to test out the interface, hear sample tracks and generally get a sense of whether it’s the right player for you. Now, resist the urge to buy an iPod Touch there and then; that’s not the way to get the cheapest iPod Touch. Instead, log onto HotUKDeals and search for the right model. 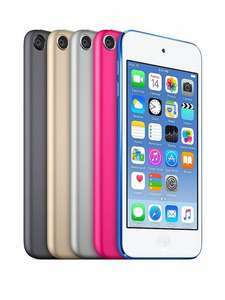 You’ll find that major online and high street merchants are offering generous iPod Touch deals that are easy to miss when shopping in person. 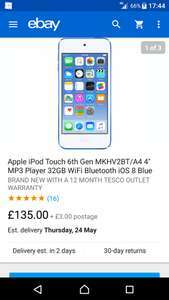 With merchants like Argos, Currys, Apple, Amazon and Tesco all competing, UK retailers constantly offer money-off deals as well as combination deals featuring iPod Touch devices and handy accessories. You might also want to wait a while until seasonal sales arrive. For instance, Black Friday and Cyber Monday are a great time to find cheap iPod offers (in mid November), while the January Sales are almost as good. And stay alert for new product launches. 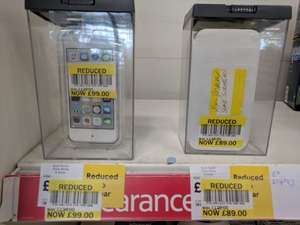 When the next generation iPod Touch arrives, the older versions often drop dramatically in price. If you don’t need the latest model, it’s a great opportunity to save some cash. The iPod Touch is one of the most advanced entertainment devices ever made. Offering video capture and streaming, audio storage and playback, web surfing, gaming and social media apps, the Touch can do almost anything a smartphone can do and costs far less as well. Check out great iPod Touch deals from the UK’s largest merchants at the HotUKDeals listings and snap up a tech bargain today.